A teenage boy is lucky to be alive after he shot himself in the head while trying to take a gun-holding selfie. Ramandeep Singh, from Shiv Nagar, India, could have joined a worryingly-long list of selfie-related tragedies after attempting to take a selfie with his sister, which involved pointing a licenced .32 bore revolver to his head. The gun went off, and the 15-year-old lad was quickly rushed to hospital in Ludhiana with critical injuries. It’s believed the revolver belonged to his father, a property dealer, who Pathankot police say was not in the house at the time of the incident. 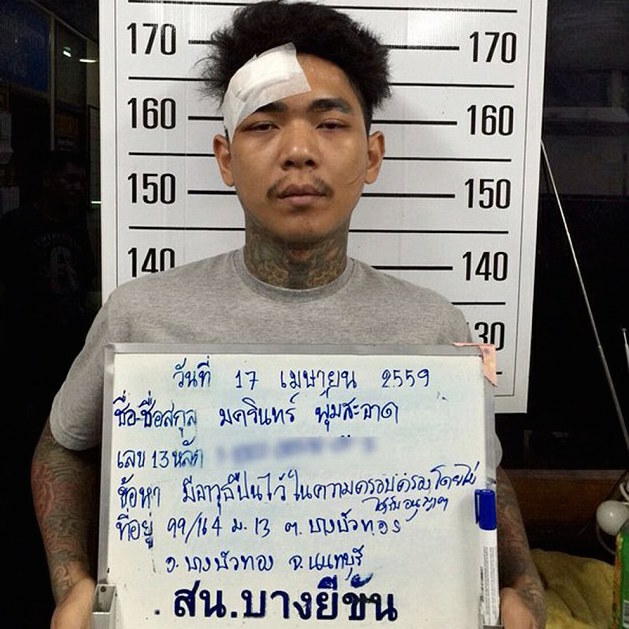 This comes just a week after a former Thai gangster shot himself in the head while live streaming on Facebook, allegedly to get more followers. He was admitted to hospital in Bangkok with a minor wound to the side of his head. But this is part of a much wider problem, a horrifying trend that seems to be taking the world by storm- taking incredibly dangerous selfies. Police in Mumbai have even had to launch a clampdown on selfies after a man drowned as he attempted to rescue a girl who had fallen into the sea when trying to take one. Two other people have also died in selfie mishaps in India during the course of this year alone. Feliz Natal! Obrigado pela foto, @douglas.r.j. A pretty terrifying time to be alive.